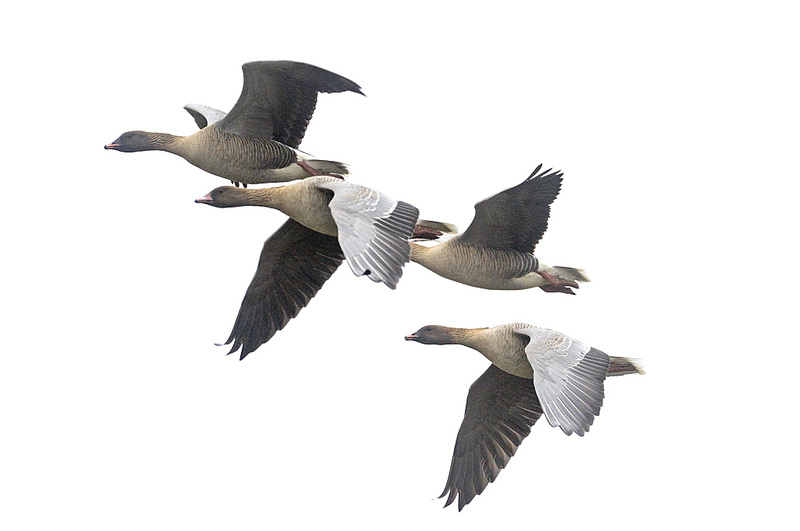 These so-called "Principle Range States" are listed in the AEWA International Species Management Plan  for the Pink-footed Goose and have the major responsibility for the implementation of the plan. Subsequently, these range states are all members of the AEWA Svalbard Pink-footed Goose International Working Group , charged with facilitating the international implementation of conservation and management actions. Countries are seen as belonging to the Principle Range States if they host one or more Important Bird Areas (IBAs) for the Svalbard Pink-footed Goose. For more information on monitoring and research on the Svalbard pinkfeet population please see the Activities  section.